ISO Group, headquartered in West Melbourne, Florida, US, is a world leader in spare parts logistics for defense maintenance programs for air, land and sea forces. The company provides continuous service to over 50 governments and assists buyers in over 80 countries with immediate, long-term and project based spare parts requirements. To serve customers and partners with quality and efficient service, ISO Group has developed a global network of locations: Florida, the US; London, the UK; Amman, Jordan; Kuala Lumpur, Malaysia; Abu Dhabi, the UAE; and Moscow, Russia. We supply new OEM parts and remanufactured parts for civil and military fixed and rotary-wing aircraft worldwide. No longer do government entities and organizations have to search and buy from multiple sources when sourcing multiple commodities for the same project. From one part to large requirement lists, ISO Group has the technology and relationships to deliver fast and competitive pricing for spare parts and components for military aircraft. We provide a complete range of parts, rotables and MRO services for military aircraft and equipment such as AWACS, attack and strike craft, bombers, cargo planes, fighters, helicopters, interceptors, and training aircraft. We supply hardware, major assemblies, consumables, rotables and MRO services for military aircraft equipment. We supply parts and components for a range of attack / strike craft such as AC-130s, A-10 Thunderbolts, Harriers, SU-24s, 25s and 32s, and Tornados. We offer parts and components for a number of bombers such as B-1s and B-2s, B-52s, TU-22s, TU-95s and TU-160s. We supply parts and components for a wide range of helicopters such as AH-1 Cobras, AH-64 Apaches, CH-47 Chinooks, Eurocopters, Griffins, Merlins, Black Hawks and Sea Kings. We supply parts and components for MiG-25 and MiG-31 interceptors. We also supply a comprehensive range of spare parts and components for training aircraft. Our high-quality services for military vehicle spare parts include proprietary technology to rapidly price and process large supply lists; an expansive technical parts data library; an ability to cross-reference both part and NSN, NIIN and NATO stock numbers; dedicated account team/technical support; rapid re-manufacturing of obsolete items; certificate of conformance wherever required; global trade compliance and export licensing; and MIL-STD packaging, shipping and logistics expertise. Your integrated transaction will be fully ITAR-compliant, and our ISO 9001 quality system ensures that you receive the highest-quality parts and services. ISO Group announced today the hiring of David Hahn as vice president of business development. David joins ISO Group with an extensive background in prime contractor / government contracting and contract execution. He has led proposal initiatives valued in excess of $4.5bn and has overseen the implementation of multiple international defence logistics agency/defence supply center/ prime contractor contracts. In his previous role at SupplyCore Inc, Mr. Hahn was instrumental in winning and implementing contracts in support of the Fleet Automotive Support Initiative Global (FASI-G) program, US Central Command (CENTCOM) and US Pacific Command (USPACOM). The Sikorsky MH-60R Seahawk multi-mission helicopter replaces SH-60B and SH-60F helicopters in the US Navy’s fleet and combines the capabilities of these aircraft. The MH-60R is also referred to as ‘Romeo’. The A400M (formerly known as the future large aircraft) is a military transporter designed to meet the requirements of the Belgium, France, Germany, Spain, Turkey, Luxembourg and UK air forces. The M-346 Master is an advanced and lead-in fifth-generation fighter trainer developed by Alenia Aermacchi (Italy), a Finmeccanica company. The Cormorant (formerly AirMule) is an unmanned air vehicle (UAV) designed and developed by Israel's Urban Aeronautics to meet the requirements of the Israeli Defence Forces. 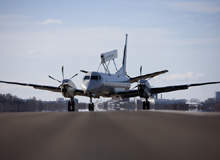 EADS CASA (now Airbus Defence and Space) supplied more than 483 C-212 aircraft to 92 operators worldwide, including the Spanish and Portuguese Air Forces, by the end of 2016. Also known as Su-27IB, the Su-34 fighter bomber has been developed by the Sukhoi Design Bureau Joint Stock Company, Moscow and the Novosibirsk Aircraft Production Association at Novosibirsk, Russia. The Lockheed Martin C-130 is US Air Force's principal tactical cargo and personnel transport aircraft. The C-130J Hercules is the latest model, featuring a glass cockpit, digital avionics and a new propulsion system with a six-bladed propeller. The A-50U airborne early warning and control (AEW&C) aircraft is an upgraded version of the A-50 AEW&C aircraft. It was developed by PJSC 'Beriev Aircraft' in collaboration with Vega Radio Engineering Corporation, for the Russian Air Force. The US Navy F/A-18 E and F Super Hornet maritime strike attack aircraft was manufactured by Boeing, and flew for the first time on 29 November 1995. The AW149 is a 7t to 8t class multirole helicopter for military and paramilitary applications. The helicopter has a maximum cruise speed of 278km/h (150k) and a hover altitude ceiling of more than 6,000ft at maximum all up weight. T-50A is an advanced trainer jet aircraft developed jointly by Lockheed Martin and Korea Aerospace Industries (KAI) for the US Air Force’s T-X Advanced Pilot Training (APT) competition. It is an advanced version of the T-50 trainer aircraft. Il-76MD-M is the upgraded variant of Il-76MD military transport aircraft developed by Ilyushin Aviation Complex, a subsidiary of United Aircraft Corporation (UAC). MiG-29 SMT is an improved version of the MiG-29 Fulcrum fighter aircraft, designed and produced by Russian Aircraft Corporation MiG (RAC MiG), which is a part of JSC United Aircraft Corporation. In January 2004, the UK Ministry of Defence (MoD) announced the selection of the AirTanker consortium under a private finance initiative arrangement to provide air-to-air refuelling services for the UK's Army, Navy and Air Force. The Lockheed Martin F-16 Fighting Falcon, the first of the US Air Force multi-role fighter aircraft, is the world's most prolific fighter with more than 2,000 in service with the USAF and 2, 500 operational with 25 other countries. Boeing's C-17 Globemaster III military airlift aircraft is a high-wing, four-engine, T-tailed military transport vehicle capable of carrying payloads up to 169,000lb (76,657kg). F-16V or Viper is the latest variant of the F-16 Fighting Falcon fourth-generation, multi-role, fighter aircraft manufactured by Lockheed Martin. The Yak-130 combat trainer was selected as the winner of the trainer competition of the Voyenno Vozdushnyye Sily, Russian Federation Air Force, in April 2002. The two-seat light trainer aircraft Pilatus PC-7 turbo was built by Pilatus Aircraft in Switzerland. It can perform various functions, including aerobatics and tactical and night flying. The Commonwealth of Australia placed a contract worth more than $1bn with Boeing in December 2000 for the development and supply of the 737 AEW&C programme. The SH-60B Seahawk naval helicopter is manufactured by Sikorsky Aircraft in Stratford, Connecticut. The helicopter is a development of the UH60A Black Hawk US Army Helicopter. The export variant is designated the S-70B. The UK MoD announced that the contract for the Taranis unmanned air vehicle demonstrator programme had been awarded to a team led by BAE Systems, in December 2006. The AW101 (EH101) military utility medium lift helicopter is manufactured by AgustaWestland (formerly EH Industries), a joint venture company formed by Agusta of Italy and the British company GKN. The V-22 Osprey is a joint-service, medium-lift, multimission tilt-rotor aircraft developed by Boeing and Bell Helicopters. Boeing is responsible for the fuselage, landing gear, avionics, electrical and hydraulic systems, performance and flying qualities. The latest version of the Sukhoi Su-35, Su-35BM (bolshaya modernizatsiya - big modernisation), is an advanced capability multirole air superiority fighter developed from the Su-27. The Sukhoi Su-30M is a multirole two-seater fighter, broadly comparable to the American F-15E. The Su-30MK is the export version of the aircraft. The fighter is a development of the Su-27 (Flanker) family, designed by the Sukhoi Design Bureau of Moscow, and is manufactured by the Irkut Corporation. The X-51 is an unmanned scramjet demonstration aircraft designed and developed by the consortium of Defence Advanced Research Project Agency (DARPA), Boeing Integrated Defence Systems, Pratt & Whitney Rocketdyne and Nasa. The F-35 Lightning II joint strike fighter (JSF) is being developed by Lockheed Martin Aeronautics Company for the US Air Force and UK Royal Navy. The Schiebel Camcopter S-100 is a medium-range, medium-endurance, unmanned air vehicle (UAV). The J-10 (Jian 10 or Fighter 10) is China's indigenously built multirole fighter aircraft developed by the Chengdu Aircraft Industry. The MiG-AT advanced flight and combat trainer aircraft first flew in 1996. The aircraft is developed by RSK MiG. The EC 635 is Eurocopter's powerful lightweight twin-engine army helicopter designed for air-to-air combat and ground support. It is also used as a utility helicopter. Northrop Grumman has built 1,187 T-38 twin-jet trainer aircraft and more than 60,000 USAF pilots have trained in the T-38 since it entered service in 1961, when it was the world's first supersonic trainer. The Sikorsky CH-53 Super Stallion heavy-lift helicopter first flew in 1974 and entered service with the US Marine Corps (USMC) in 1981. The Tornado multirole aircraft is operational in five different forms, including the Tornado GR 1 interdictor strike aircraft for close air support. The MiG-29K fighter bomber aircraft is manufactured by RSK MiG and the Irkutsk Aircraft Production Association Joint Stock Company. The MiG-29, 30 and 33 are known by the Nato code name Fulcrum. IL-76 is a medium-range military transport aircraft, also known by Nato codename 'Candid'. IL-76 is produced by the Ilyushin Aviation Complex Joint Stock Company in Moscow.